We are a major supplier of materials for the plumbing trade industry. Our supplies include those for bathroom, heating, plumbing and renewable solutions jobs. We have stores across the UK with a reputation excellent service and value for money. Emergency Plumbers of Stoke-on-Trent offer a fast Emergency Plumbing Service for the Stoke-on-Trent and Staffordshire area. 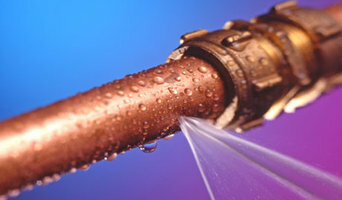 We have over thirty years of experience in the Plumbing Business and offer a quality service for your home or business. Welcome to A1 Gas Force Solihull, the best providers for plumbing, central heating and boiler care for home or small businesses. Whether it's a repair, installation or a plumbing emergency, A1 Gas Force Solihull takes every task seriously and promptly. Our engineers are trained in providing all round boiler and central heating services including repair, installation, and maintenance. They can also install and fit bathrooms. Get Free no obligation quote for a new boiler or central heating system installation. We are available all year 24/7. MJC Plumbing & Heating specialise in plumbing, central heating, boiler repair and installation services for domestic and commercial property in Solihull. Our expert team of plumbers and central heating engineers install central heating systems for urgent and non-urgent clients. 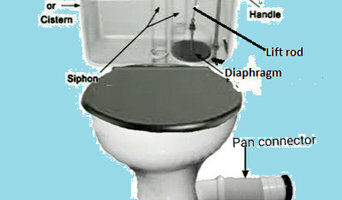 We also undertake routine plumbing work in the area. We are fully approved and can carry out routine servicing of boilers and other gas appliances. 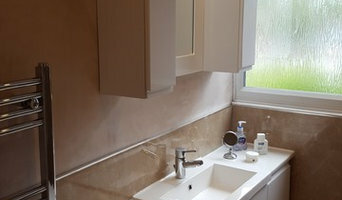 We can also provide a high standard for the design and fitting of a stylish new bathroom. The Company employs its workforce in-house, and does not outsource these jobs to sub-contractors. We have different pricing plans to suit all budgets so whether its bathroom designing, plumbing or central heating, we are here to help. We rely on word of mouth from satisfied customers for our new business so whatever your plumbing or gas needs, get in touch with us today! Welcome to Gastek Solutions Ltd - Gas Safe Registered heating engineers offering a comprehensive range of installation, maintenance and repair services. Based in Dudley we operate across the West Midlands, providing both commercial and domestic customers with energy-efficient solutions that are backed up by robust warranties and our commitment to 100% satisfaction. Gastek Solutions also provide unbeatable finance options for all your Plumbing & heating needs. WIth interest rates proven to beat any like for like quote, we'll help you work out how much your new central heating boiler will cost. CV Lane & Sons are a family run business and have been established since 1931. We provide many services such as plumbing repairs, bathroom design and fitting to central heating installations. We Also service, repair and install oil and gas boilers for our customers. Our boiler technicians are highly skilled and trained and will have your boiler working in next to no time. The Servo Rod team offers a fast and efficient drain unblocking service in Leicestershire. The company employ CCTV cameras to identify blocked sections of drain and can clear the blockage with high pressure jetting or electro-mechanical cleaning. If the drains are damaged in any way from tree roots or ageing, the team are equipped to excavate and replace or reline the effected section. The company offer a free no obligation quote on all work. EGP Plumbers has been providing first class domestic and commercial plumbing and heating services across Leicestershire for over 40 years. All our plumbers and heating engineers are well trained and highly qualified, with experience of working with domestic and commercial clients. We take pride in being a reliable, friendly and professional company which has helped us to establish a reputation as being one of the foremost plumbing and heating companies in the region. Plumbers in Swadlincote, Derbyshire can do more than just fit sinks and fix toilets; for any water or gas fixture there’s a plumbing company that can repair, install or even design it for your home. In the kitchen, you’ll need local plumbers to hook up your sink, dishwasher and washing machine to the main water supply and the drainage pipes, and they may be able to help with waste disposal units, gas hobs and plumbed-in fridges that dispense ice and water. In the bathroom you should hire Swadlincote, Derbyshire plumbers to install your main bathroom fixtures – showers, baths, sinks, toilets and bidets. Plumbing companies and heating engineers can also install towel radiators, shower body jets, bath spas and possibly underfloor heating. Plumbing doesn’t have to stick to the kitchen and bathroom, either. Plumbers can install water taps outside for hoses and sprinkler systems, or you may want outdoor water features, such as a fountain, pond, pool, hot tub or shower; all of which you can talk to Swadlincote, Derbyshire local plumbers or plumbing companies about. You may find that you need a plumber to work with a tiler, kitchen designer or architect so that your whole redesign can come together seamlessly. Here are some related professionals and vendors to complement the work of plumbers: Main Contractors, Septic Tanks & Sewage Systems, Kitchen & Bathroom Designers, Kitchen & Bathroom Fitters. Find local plumbers on Houzz. Narrow your search in the Professionals section of the website to Swadlincote, Derbyshire plumbers and plumbing companies. You may also look through photos of Swadlincote, Derbyshire projects to find a plumber who has worked on a project similar to yours.